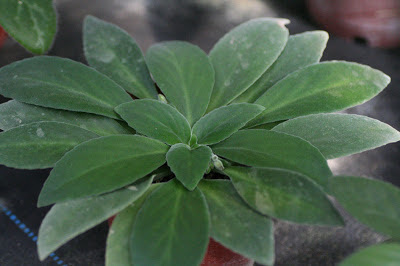 I always believe that doing right thing in right season brings benefit. 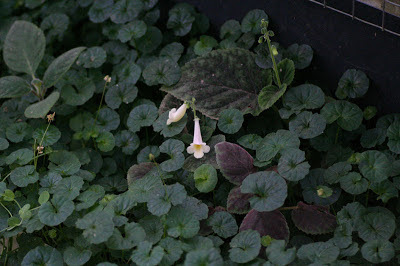 My planting area is a half open space with shelter to prevent the rain and strong wind, but the temperature and sunlight change daily according to outdoor environment. My Sinn. 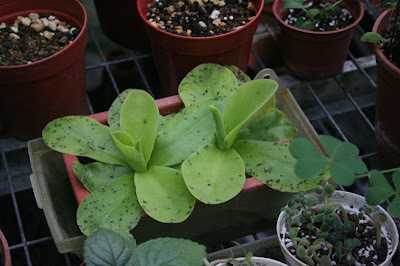 helioana is coming with 7 flower stalks and a leaf for this year. I forgot to stop watering it when the climate turned to cool in last September, then a leaf sprouted and it reminded me that it's the time to let this plant enter the dormancy and that was a month later. This cute little bloomer postpones a month to bloom as I used to stop watering during September and it bloomed during X'mas to early January. 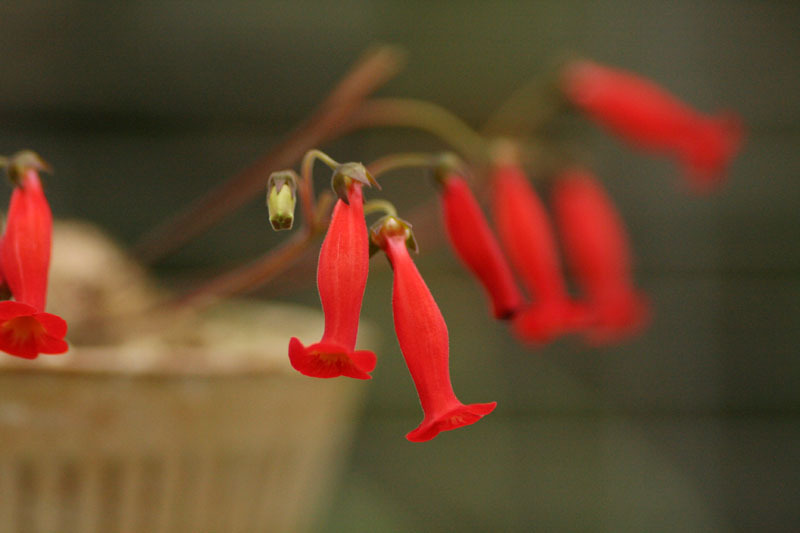 Nevertheless, what a pleasure of seeing these red bell-shaped flowers in this cold and silent season. Sinn. HCY's Persephone, these blooms are happening on a very small sprout after repotting. 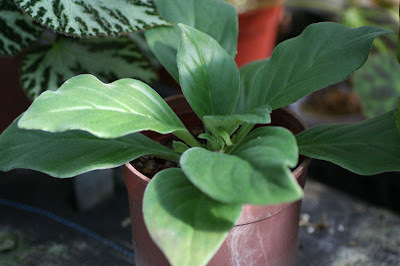 Because it was re-potted during dormancy and I did not water it regularly nor give fertilizer. It quickly sprouted in the cold weather and soon in bloom. 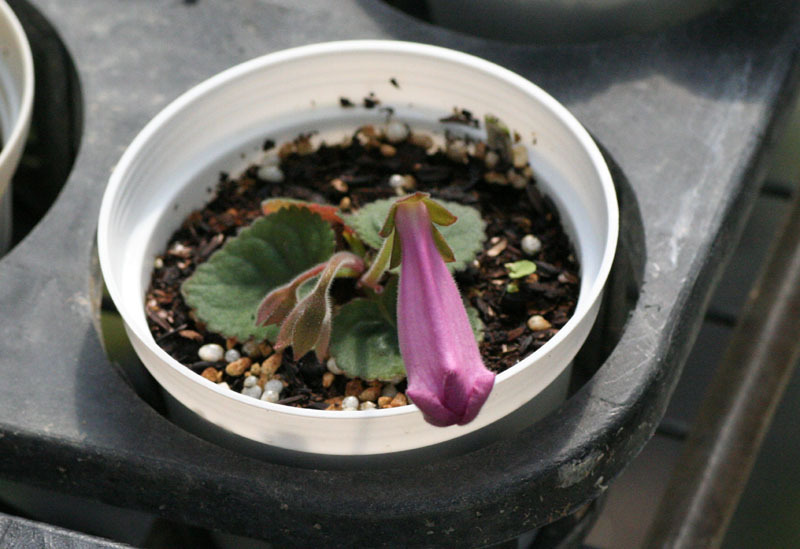 After flowering, this sprout will end its cycle and then I will just normally take care of it for next cycle in the prosperous spring. Or so-called "Chirita" in the past, the Primulina group is a big family including members that require different habitats with diverse climate conditions. 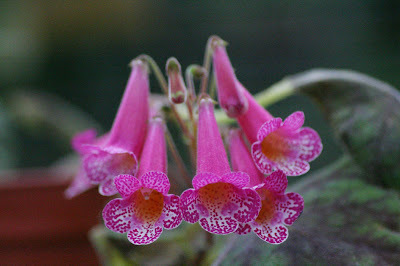 This genera of Gesneriad is not the leading plant in my garden. I only keep some easy growers because they tolerate my planting area. Except those Primulina species that require stronger light, most of my Primulina receive weak sun light all year around as I put them right on the ground under my planting rack where the other Gesneriads like Sinningias are planted because they require stronger sun light. With weak sun light (at least enough for maintaining the growth and flower), the leaves of Primulina are smooth and flexible, on the other hand the rosette foliage might be tight and brittle when they are over-exposed under sun light. 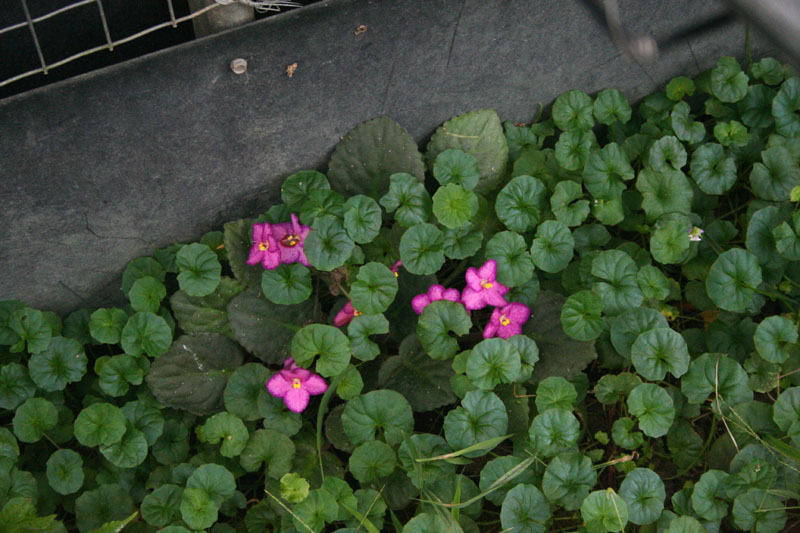 My Primulinas usually flower during spring to early summer here in Taiwan although I also experienced that they flowered in different season but sometimes the buds failed. I assume this is the reaction to their yearly growth cycle as well as they do in the wild in southern China. 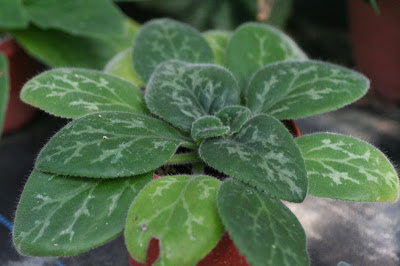 This inspires my view of growing Primulina - never push it to flower, they will when they are ready ... meanwhile keep the plant's foliage as beautiful as you can, it is pleasing to the eyes without seasonal limit. 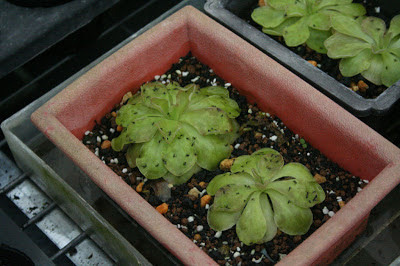 Peat moss is a quite common medium that I use in growing Gesneriad plants but one annoying issue is there comes the 'Mushroom Flies' that fly around the terrarium. It's hard to catch or beat them due to they fly elusively. 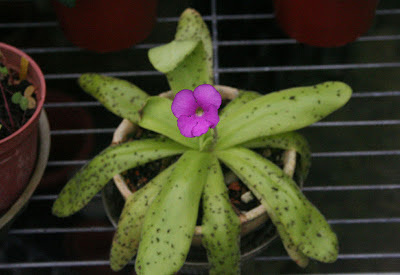 The simple solution is to grow some Pinguicula, commonly known as the butterwort ... it's a qualified "Predator" with no harm to human and catches flies with efficiency. 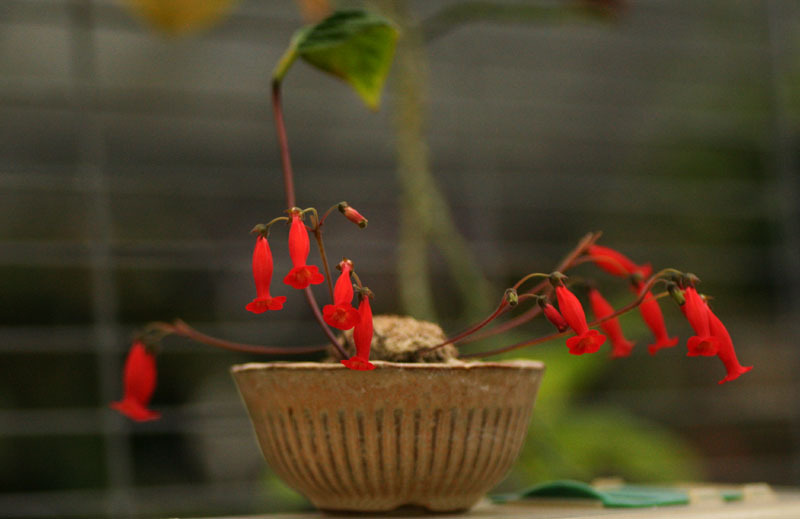 Sometimes it also gives you a cute flower as reward. 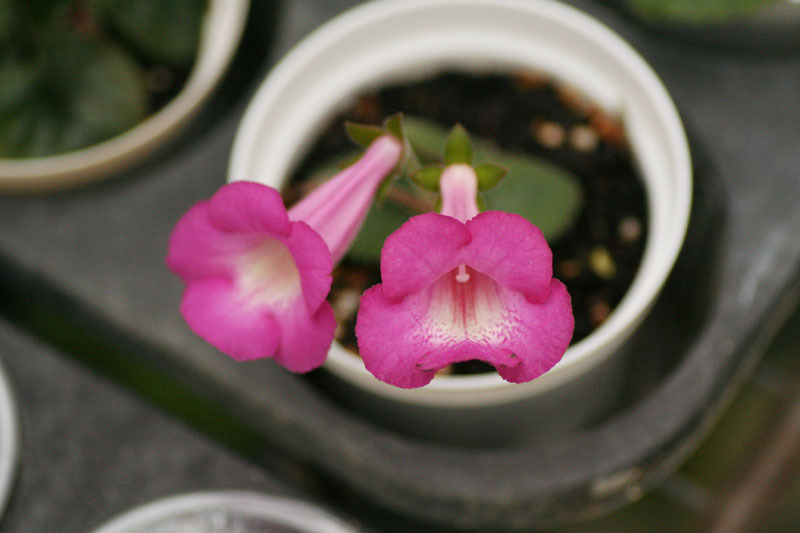 I grow 3 butterwort hybrids which easily tolerate my environment because I am not collecting them, I just raise them as the Predator of Mushroom Flies. 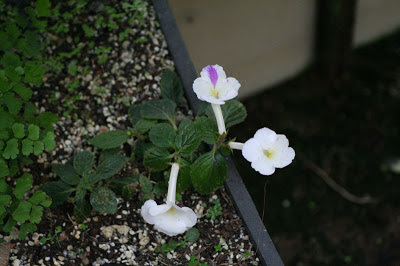 Smithiantha HCY's Winter Glory in season.